The 325 Series is the most versatile component of the Charleston Manufacturing, LLC family of architectural signage systems. The 325 System is designed for non-illuminated exterior use and is intended for primary site identification and directional information. Single face or double face copy may be specified. The designer may select rectangular, radius or full-round posts. 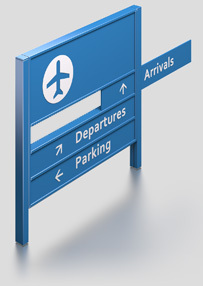 Corner posts allow for perpendicular signage or may be easily adapted for four-sided signage. Posts are available in lengths up to 24’. Standard posts are 8’, 12’ and 24’. Allow for 3’ minimum below grade. 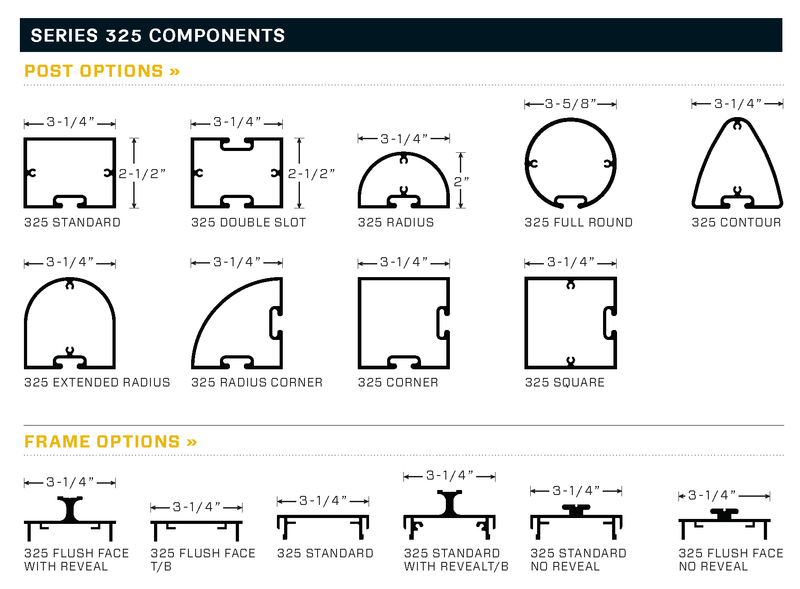 All Series 325 components are finished after fabrication, thereby eliminating bare edges and ensuring a uniform appearance. Standard 325 finishes include fifteen standard colors in acrylic polyurethane (see page 12). Custom colors and color matching are available within standard lead times. The 325 Series is available preassembled or in knock-down form for easy assembly on-site. Graphics may be furnished by Charleston Manufacturing, LLC or by installer. As an option, the 325 Series is available with a “flush face” panel that lends a frameless appearance to the sign. 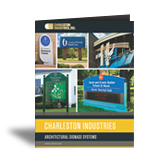 The beauty of Charleston Manufacturing, LLC architectural signage systems are their inherent versatility. 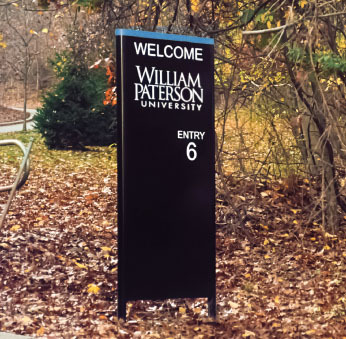 Utilizing modular components, the systems can be adapted to virtually any signage application ranging from monolithic designs to interior wall-mounted directories. The Charleston Manufacturing, LLC systems offer design integrity, aesthetic quality and remarkable economy. Charleston Manufacturing, LLC maintains a complete in-house paint facility. As a result, we are able to offer single source responsibility and a high level of quality control. In addition, our color matching capabilities are without equal. We take pride in providing full color matching services, usually in a week or less. Our standard paint finish is an acrylic polyurethane, the most recognized coating for quality, brilliance and longevity in architectural signage systems. 6063 T5 aluminum extrusions are mechanically pre-treated, primed and electrostatically painted. its "just painted" look years after exposure to sun, salt, and corrosive industrial environments. Beyond our standard acrylic paint finish, Charleston Manufacturing, LLC can also provide anodized, Kynar 500® or other premium coatings as required. Please call us directly with your inquiries. All posts and frames are manufactured from heavy duty 6063 T5 aluminum extrusions produced to Aluminum Association standards. 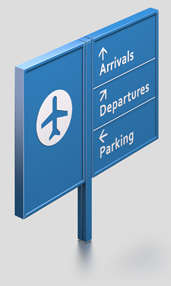 Standard sign panels are supplied in .063 to .125 aluminum. Acrylic, fiber glass, Lumasite® or polycarbonate panels may also be specified. Our graphics capabilities allow us to offer a variety of options such as logo reproduction, corporate identity programs and sitewide uniformity of graphics. The Series 750, 750 pylons and Series 1200 are designed for either Illuminated or non-illuminated applications. All units and ballasts are UL approved and are available in 120 or 277 volt configurations.